I love the colours in this outfit, so pretty! Love every piece of this look. Love the layering here. 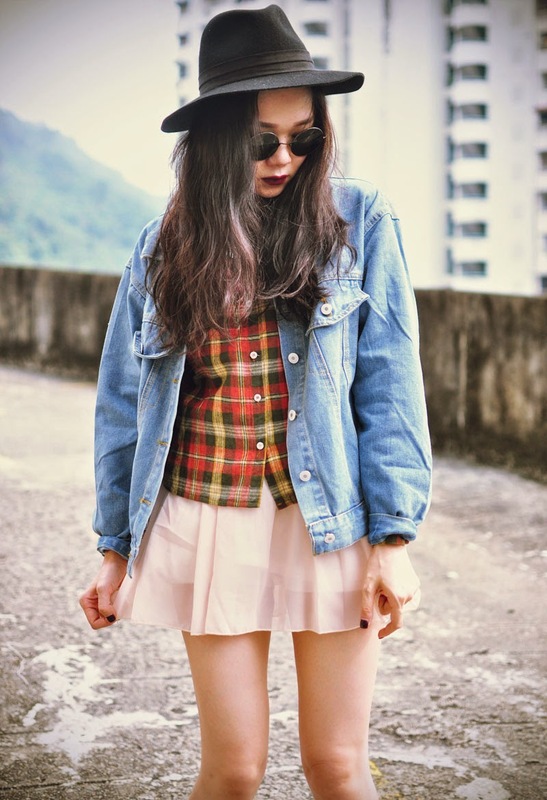 That denim jacket and plaid shirt are meant to be paired together!